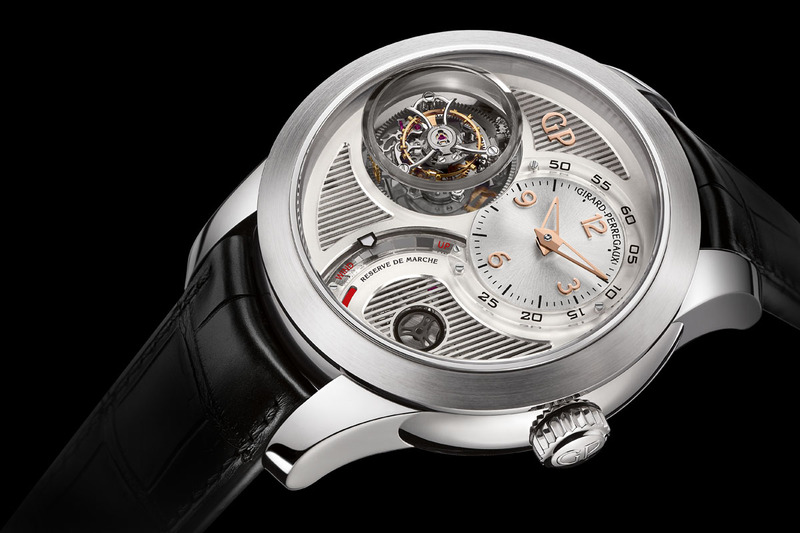 The high-end GP tourbillon, inspired by a 1889 pocket watch with three bridges, now in sleek white gold. If there’s one thing that sums up Girard-Perregaux it would be (to me, at least) the tourbillon under three gold bridges. The Laureato or the 1966 collections are nice, but this specific architecture for the movement, its superb hand-decorated parts, and the overall symmetrical layout is what GP does best. Presented for the 225th anniversary of the brand in 2016, the Girard-Perregaux La Esmeralda Tourbillon, inspired by the eponymous pocket watch created in 1889, now comes in a sleek white gold case. 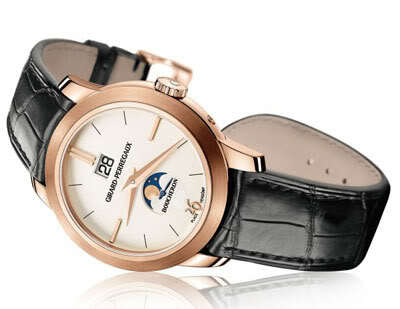 The signature design of Girard-Perregaux is not a recent creation. 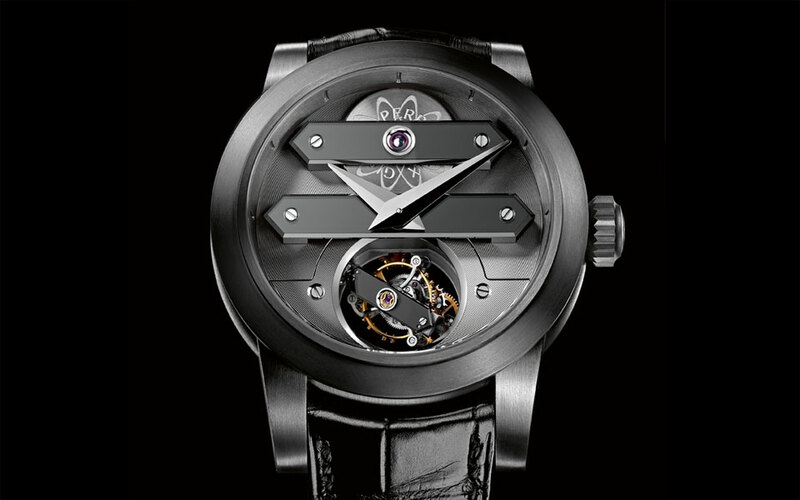 In fact, this “three bridges” construction was developed back in 1860 and has become the hallmark of most high-end watches by the brand, often linked with a tourbillon regulator. 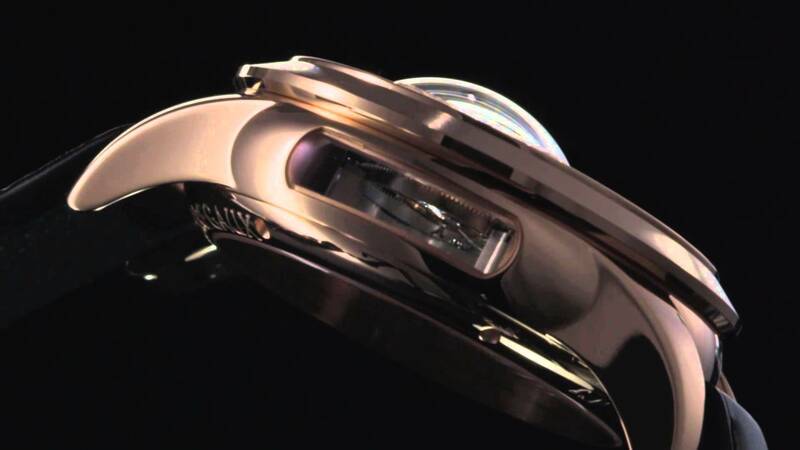 Certainly, we’ve some non-tourbillon pieces or much more modern iterations, but these three horizontal bridges and the symmetrical architecture of the movement are iconic design elements for the brand. The “Esmeralda” refers to two watches. Most of you might be familiar with the recently introduced wristwatch, presented for the 225th anniversary of the brand. 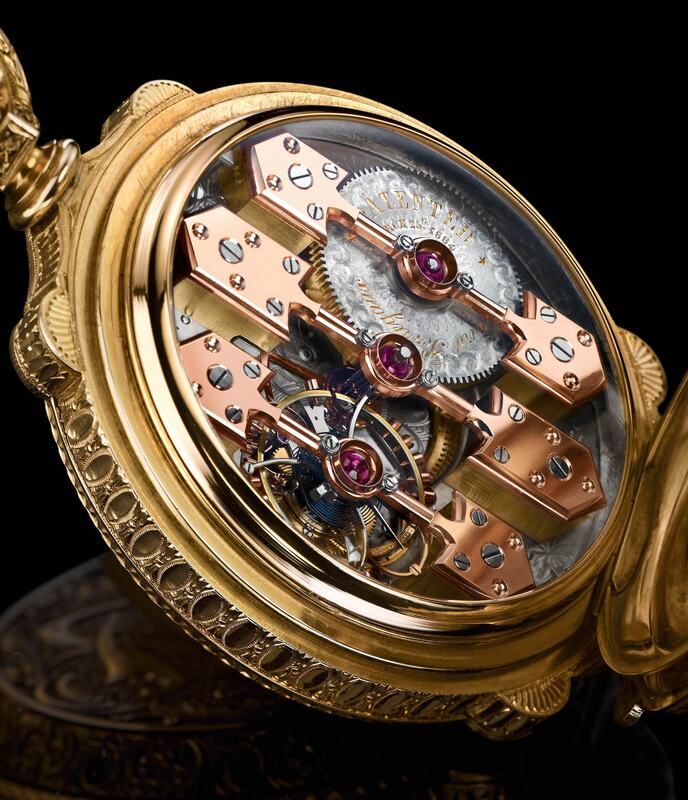 Fewer might know that this piece is directly inspired by one of the most famous watches created by Constant Girard, an 1889 tourbillon under three gold bridges, which won a gold medal at the Paris Universal Exhibition. Following the prize, the famous jeweller and watch retailer Hauser, Zivy & Cie, owner of the “La Esmeralda” boutiques in Paris and Mexico, was appointed to sell this exceptional pocket watch, hence the name of today’s watch. 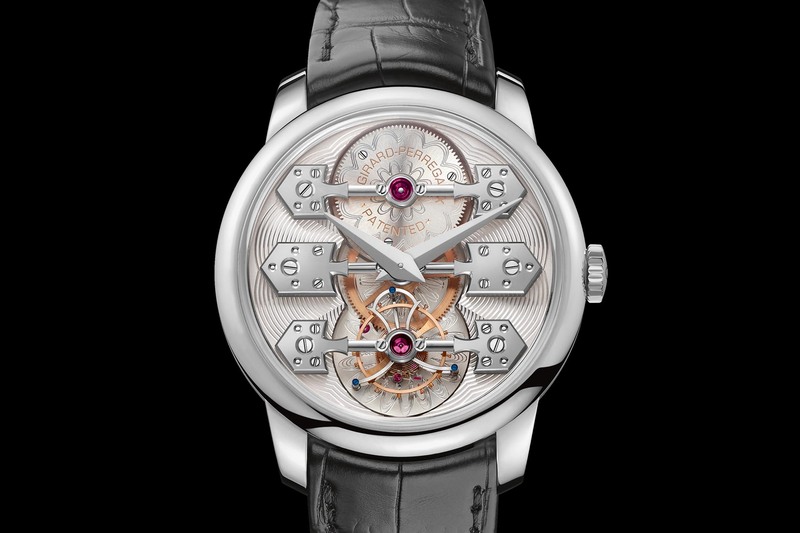 In 2016, GP recreated the architecture of La Esmeralda’s movement and its rich decoration in a modernly sized wristwatch – a watch that would go on to win the title of the 2016 Tourbillon Watch Prize awarded by the GPHG. While the habillage had nothing to do with the original pocket watch, the movement was a faithful and superb tribute to this cornerstone piece. 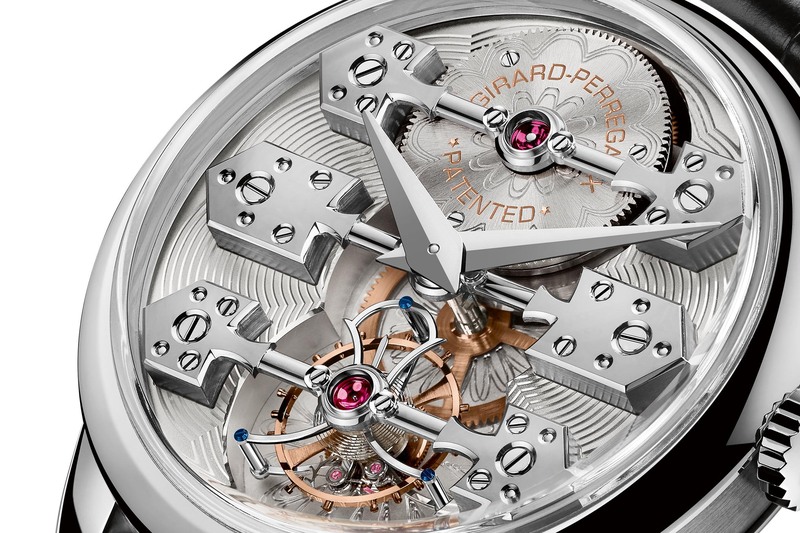 The Girard-Perregaux La Esmeralda Tourbillon relies on a vertically arranged movement, where all the technical elements are positioned on the 12-to-6 axle. Starting from the top, we have the barrel, below which is the concentric micro-rotor. Right in the middle are some of the wheels of the gear train, followed at 6 o’clock by the pièce de resistance, the one-minute tourbillon and its signature cage, which share the same design as the antique Esmeralda – a beautifully hand-finished assembly with high-end decoration. All these elements are placed under three transversal bridges, crafted from solid gold. Their double arrow-shaped designs are entirely hand-decorated and are inspired by the bridges of the historic Esmeralda. The surface of the arrows is mirror-polished, the edges are hand-bevelled and the sides are straight-grained. Just like the 1889 piece, the bridge arms are carefully rounded by hand using a burnisher. 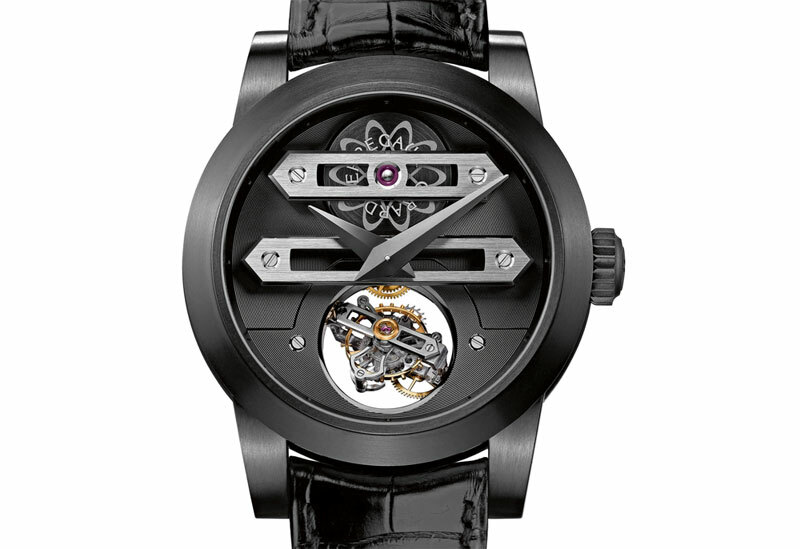 In their centre, the diamond-polished chatons, held in place by two screws, create a solid construction for the barrel, the centre wheel, and the tourbillon carriage. 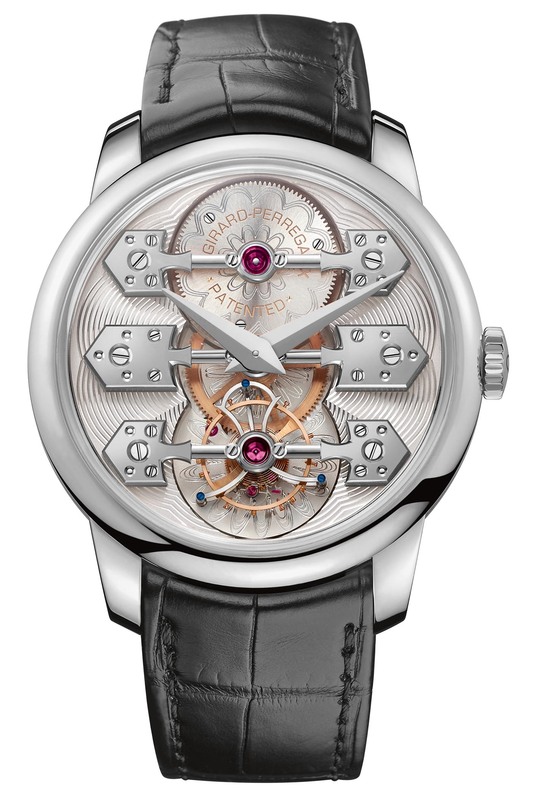 To accommodate this large 36.60mm movement, the Girard-Perregaux La Esmeralda Tourbillon comes in a 44mm case, which is now offered in 18k white gold – previously available only in pink gold. Following this “white-metal” theme, the 3 gold bridges match the case material, and so do the hands – overall offering a more discreet style. 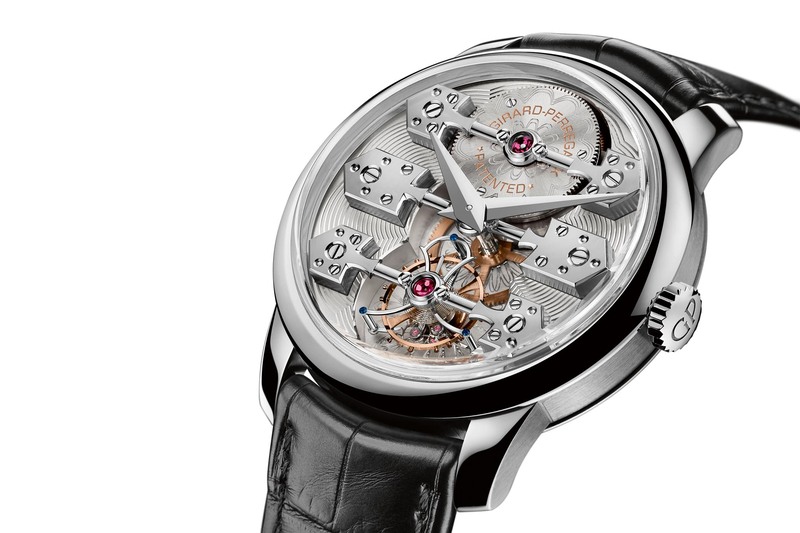 Still, the movement components and the main plate (which serves as a dial) are richly decorated with guilloché patterns. The Girard-Perregaux La Esmeralda Tourbillon is worn on a hand-sewn black alligator leather strap with a white gold triple folding clasp. Price is on request but expect around EUR 200,000 for this exceptional piece. For telling the time this would probably be better than a sundial if the day was cloudy. Impractical toys for the wealthy.